LAHORE – The Punjab University Academic Staff Association (PUASA) on Thursday threatened to launch an anti-Vice Chancellor (VC) Campaign and warned the VC that if he did not stop favouritism and remove his advisor Colonel (r) Ikramullah, then no authority could save his chair. PUASA office bearers expressed concerns over the VC’s alleged nepotism, favouritism and victimisation and said that teachers’ body are united against favoritism and one-man show. Addressing a press conference at the PU Executive Club, PUASA President Dr Maher Saeed Akhtar and other office bearers alleged that the VC was following a “pick and choose policy” in case of transfers of teachers, appointments, inquiries, benefits grant and selection boards etc. He said that the PUASA tried to present these issues before Dr Mujahid Kamran but refused to accommodate them. Saeed warned that many teachers could resort to self-immolation if the practice continued. PUASA office bearers criticised the VC for not holding elections of various statutory bodies including the senate, syndicate and academic council and alleged that eligibility, selection and promotion cases in most varsity departments had not been finalised even after lapse of the statutory period while on the other hand there were numerous precedents of early disposal of such cases. They said that case of additional registrar Dr Aurangzeb Alamgir was finalised within three months. About alleged nepotism, PUASA office bearers said that perks and privileges given to the VC’s cousin Dr Mansoor Sarwar were allegedly not extended to other eligible and entitled faculty members. PUASA office bearers said that Khujista Rehan, a lecturer of law, was allegedly victimised, as she was not sanctioned study leave while she had to proceed to Australia for LLM on her own expense. They said that on the contrary, Dr Kamran’s wife Shazia Qureshi was not only granted leave but also sanctioned a huge amount of Rs 9.7 million, which was transferred to her account. 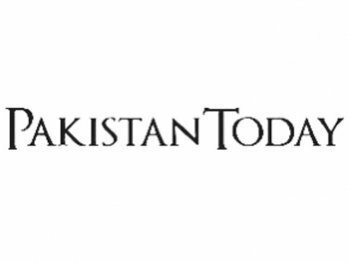 Teacher leaders demanded the immediate removal of Dr Alamgir and Treasurer Uzma Ikram, alleging that both officers had jeopardised academic and financial activities at the campus due to their alleged incompetence. They demanded implementation of “one man, one post” formula saying that it had been a long-standing demand of faculty members. The PUASA office bearers said that instead of taking any pragmatic step, the administration had been bestowing additional responsibilities on a few selected teachers. They said that such practice had not only infused a wave of deprivation among eligible and deserving teachers but also created a lot of administrative problems. PUASA office barriers condemned the VC for the torture on female students and said that his advisors are giving him wrong suggestions. They said that in the past, the PUASA had struggled against appointment of retired army personals but the VC promoted and appointed retired army personals, which is commendable.